Bonus: 100% match up to £250, 30 x wagering requirements with a 10% contribution. High rollers are not really catered for. 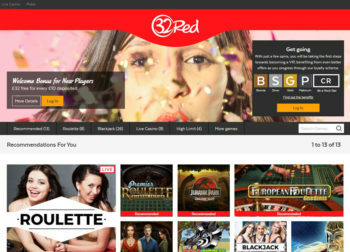 32Red are another casino that changed live casino providers during 2016. 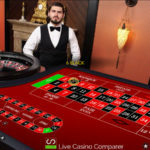 This was due to the strategic deal that was signed between Microgaming and Evolution Gaming during 2015 that would see Evolution provide the Live Casino solution for Microgamings European based partners. 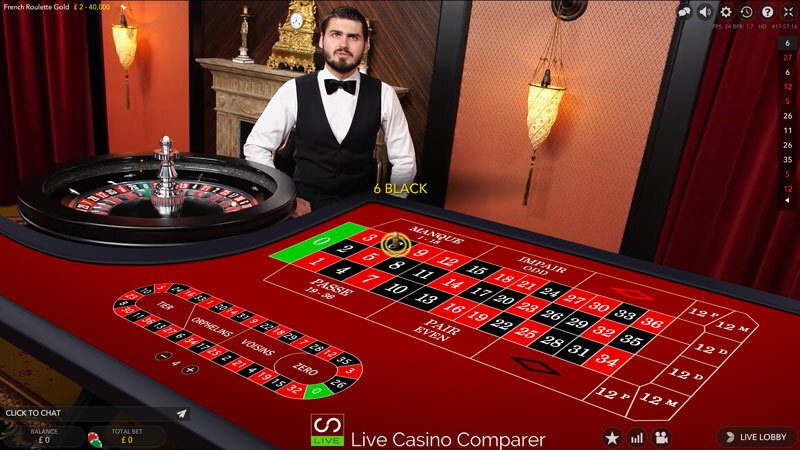 So 32Red’s live casino is now powered by Evolution Gaming and quite honestly this is a much better solution than the one provided by Microgaming. The only option that the Evolution solution doesn’t have is the ability to show multiple players on the Roulette table. Racetrack – Enables you to place call bets and neighbour bets. You can also select how many neighbours to include when making your bet. Full spin history statistics, up to 500 last spins. Ability to save favourite bets. Make bets from the history statistics. Switch views between HD, Classic and 3D. Adjust Video Quality, Sound and Player Chat displays. 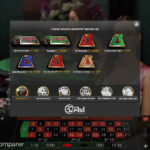 The French Roulette Gold table has La Partage and it’s also available on Auto Roulette. Betting time is quite quick at 15 seconds. The software interface is probably one of, if not the best out there. 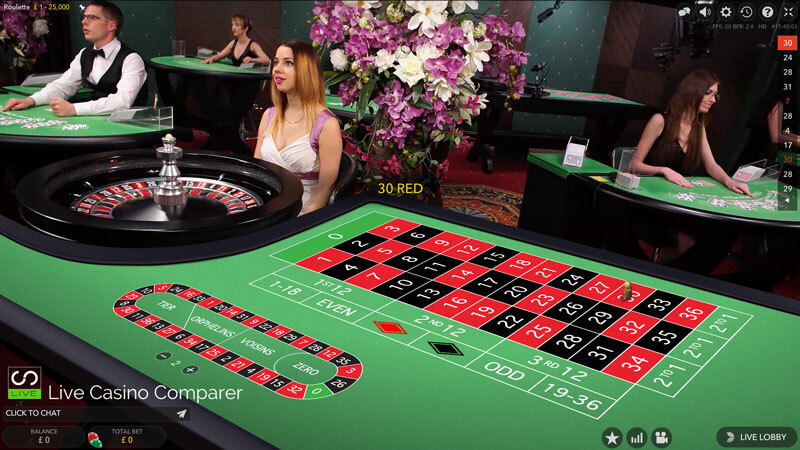 To really appreciate 32Red Live Roulette games you need to play them in full screen mode or as big as you can. The default setting is just too small in my opinion. 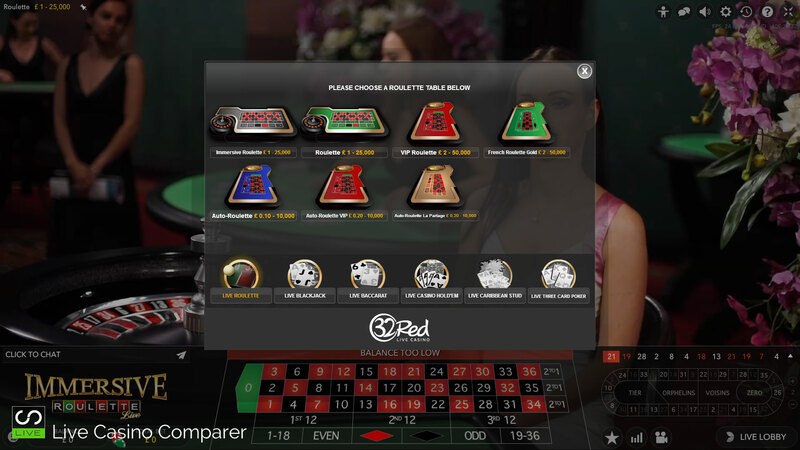 If you’re a regular online casino player then it’s very likely you have heard of 32Red. They are considered the gold standard when it comes to their customer support and have won many awards every year. Players generally love them, and I have to say my own experiences mirror what I’ve read else where. You can contact them 24 x 7. The default option is online chat and they push that on their website as the buttons stand out. If you dig around a bit you can find that email and freephone telephone support are also offered as is Skype and traditional snail mail. Banking options are good and withdrawals are processed within 24hrs. Ewallets, direct bank transfers and debit cards are readily accepted. You should however check the banking options on their website for specifics that relate to your country. 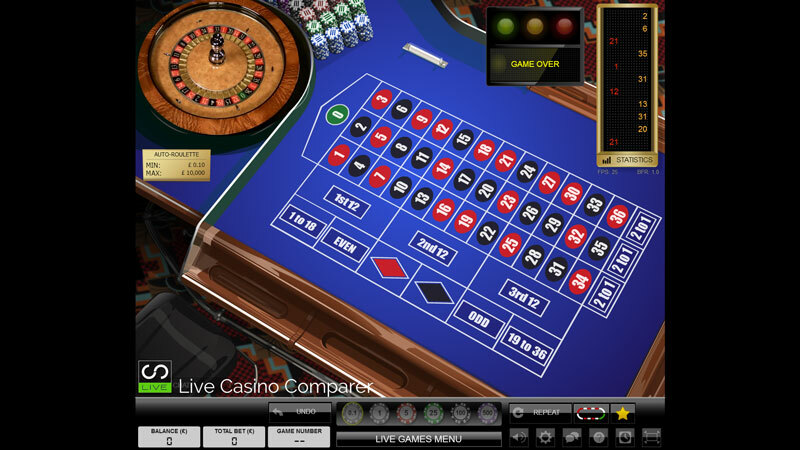 A table games Welcome Bonus of 100% up to £250 is offered. 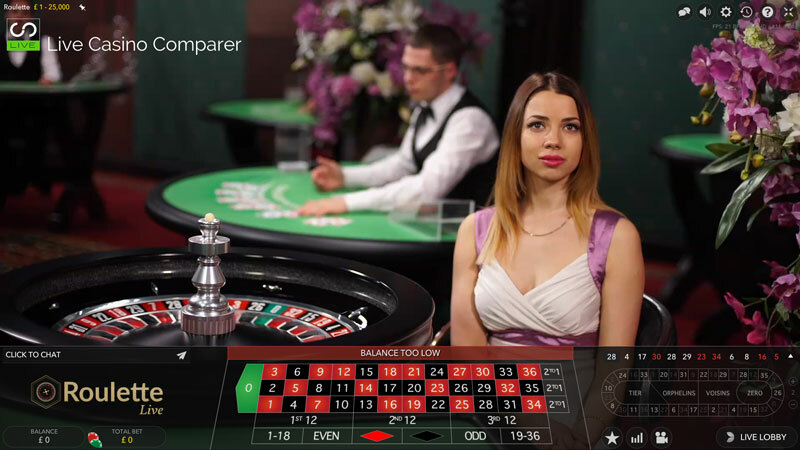 It has a 30 x wagering requirements attached to it and table games contribute 10% to the wagering requirements. 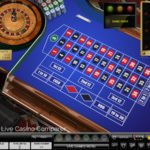 Bonus bets are limited to a maximum of £50 per spin. You can also accumulate points when you play and these can be redeemed for playing chips. 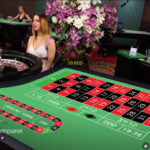 32Rred have an outstanding reputation as an honest and trustworthy casino with great customer service. I actually really like that the live roulette options are simple and the games are easy to find in the lobby.